Welcome to a brand new post! The wonderful guys over at Trinity Kitchen invited myself and Luke over to try out the new vendors that are serving delicious food within Trinity Kitchen at the moment and I thought that today I would tell you all about it! 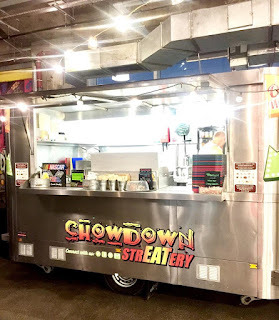 The five new vendors that are within Trinity Kitchen at the moment are Baked In Bricks, Steak Out, Thai Khrim, Persian Kitchen, Sela Bar and Chowdown Streatery. All of these vendors are here for 8 weeks so do go and check them out if you can! Cooking out of a converted Mini Cooper, so for anyone who wanted a kitchen in their car, it is possible! Baked By Brick deliver the best BBQ Chicken Tikka Wraps and wood-fired Neapolitan style pizza! 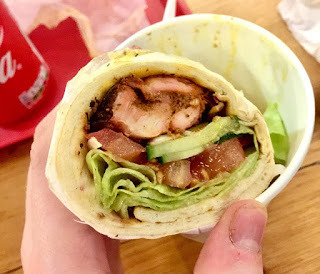 I had one of their Chicken Tikka Wraps which came with your choice of salad which includes vegetables such as Cucumber, Lemon Juice and a choice of either Mint, Chilli Sauce or both. I had it with all the salad and Mint Sauce as I wanted to taste the Chicken more than anything therefore I thought that more spice would take away from it. The Chicken was tender and tasted exactly like lovely Chicken Tikka should do. The Salad added a fresh note against the warm Chicken and that Lemon Juice just gave it such a kick! 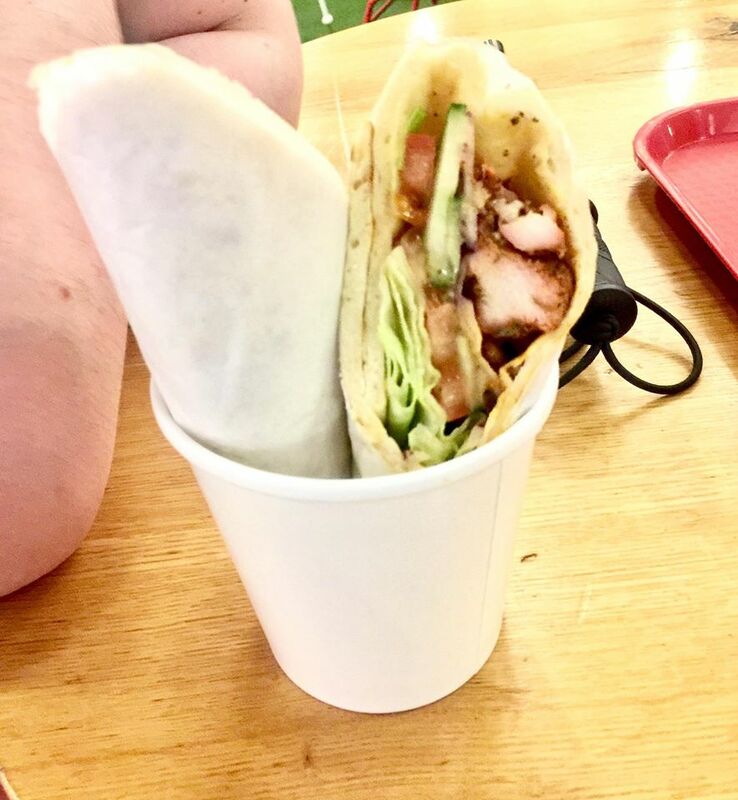 I loved the fact that it came in a sort of Chapatti style wrap. I think that a couple of these and a beer or two would make the ideal Lunch! Meat lovers will be pleased to hear Steak Out is at Trinity Kitchen. Marinated with unique flavours and served sizzling steakhouse style on toasted brioche rolls, options range from The Texan with BBQ sauce and smoked bacon to The Eiffel with garlic mayonnaise and crispy onions. Sadly, I really wanted to try one of Steak Out's offerings but sadly there was nobody there when I went to the vendor. I'm not sure why but I will definitely try them out when I can! 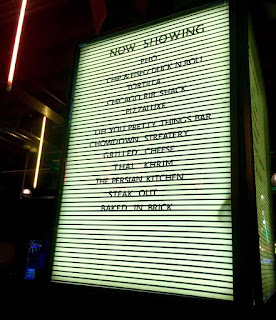 The next place on Trinity Kitchen's guest list is Sela Bar. Sadly, Luke is weird with Grilled Cheese's for some reason so I thought that as we're sharing then it would be best to stay away from it but they did some amazing Grilled Cheeses including one called Blue Balls which contained Meatballs and Stilton! The name is an odd one but it sounds like a pretty good combination as Cheese and Meat is always good! Persian Kitchen are arriving in Trinity Kitchen for their first residency. Get those taste buds tingling with their delicious Middle Eastern cuisine. Again, sadly I didn't try this one but I did love the sound of an amazing stews and Middle Eastern food. If you want something to warm your insides up then I would definitely try these guys out! 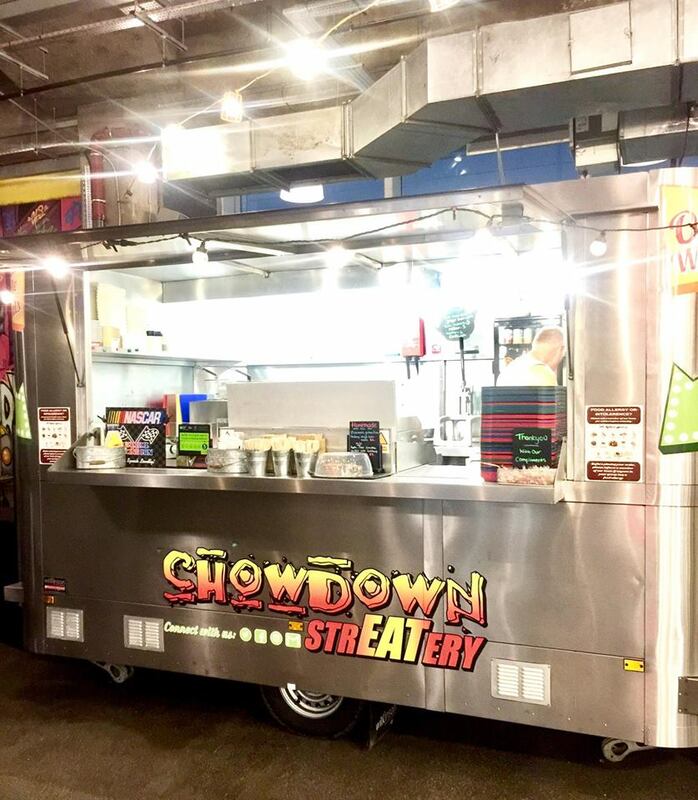 Chowdown Streatery will also be joining the line-up, offering American-style street food made with locally-sourced produce. Make sure you try out their popular chilli dog and The Chowdown Burger. I had a wonderful little chat with the owners of this vendor. We talked about all things sustainable and everything about Wales. Chowdown base all their food on being able to get their meat fresh and local to ensure that you know exactly what is going into your mouth. They also do a meal deal at £10 which is good as you're paying for quality not quantity. You can also try their Chowdown Platter which contains a little bit of everything for £10. I tried one of their Boston Burgers and I absolutely loved it! The Burger was tender and delicious and everything that was within the burget made the whole thing sing in the mouth! They also made me a special little cake which was Apple, Cinnamon and Caramel, I believe, and it was delicious! The Apple gave it texture, the Cinnamon gave it warmth and the Caramel added sweetness. I love Cinnamon so I definitely loved this! Last on the Trinity Kitchen train is Thai Khrim. Back by popular demand is Thai Khrim, whose fresh, hand-crafted Thai ice cream served with a mountain of toppings has proved such a hit that they are staying at Trinity Kitchen for the next two change-overs! The whole process of making Ice Cream Rolls were a completely new thing for me. I decided to watch it whilst it was being made and it honestly looks like it takes many years to perfect this craft! 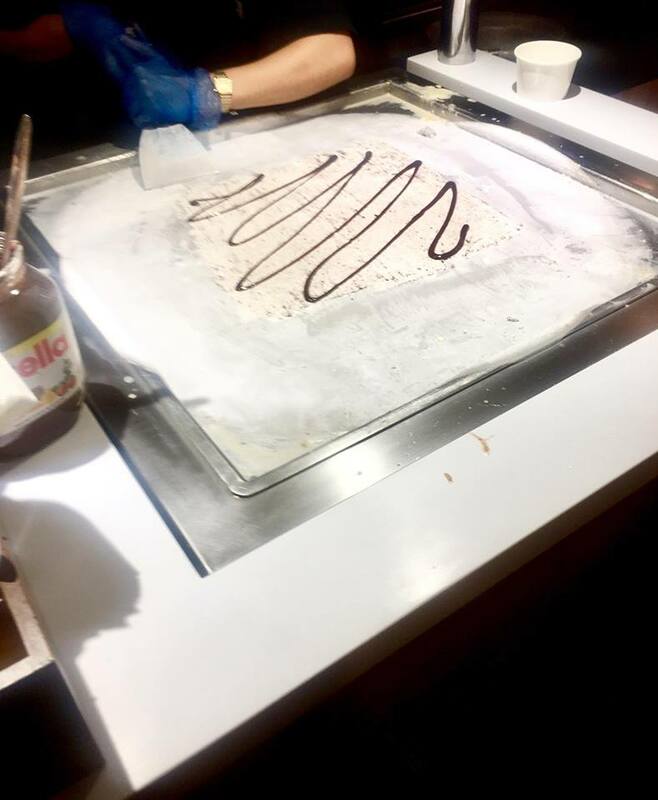 The process included chopping a filling into the ice cream and ensuring that it was flat so it could be rolled up which included cleavers to get it fine as possible. The clanging of the cleavers sent me straight to the streets of Thailand! I had an Oreo and Hersheys Chocolate Ice Cream Rolls with Whipped Cream and a Brownie on top. The Brownie was wonderful and so was the Whipped Cream. The Ice Cream was sweet and had texture due to the Oreos but I think that due to the rolling it had made the ice cream hard which meant it took longer to eat without making an absilute mess of it. It is wonderful though and I do recommend trying them out just to watch the process of making it! 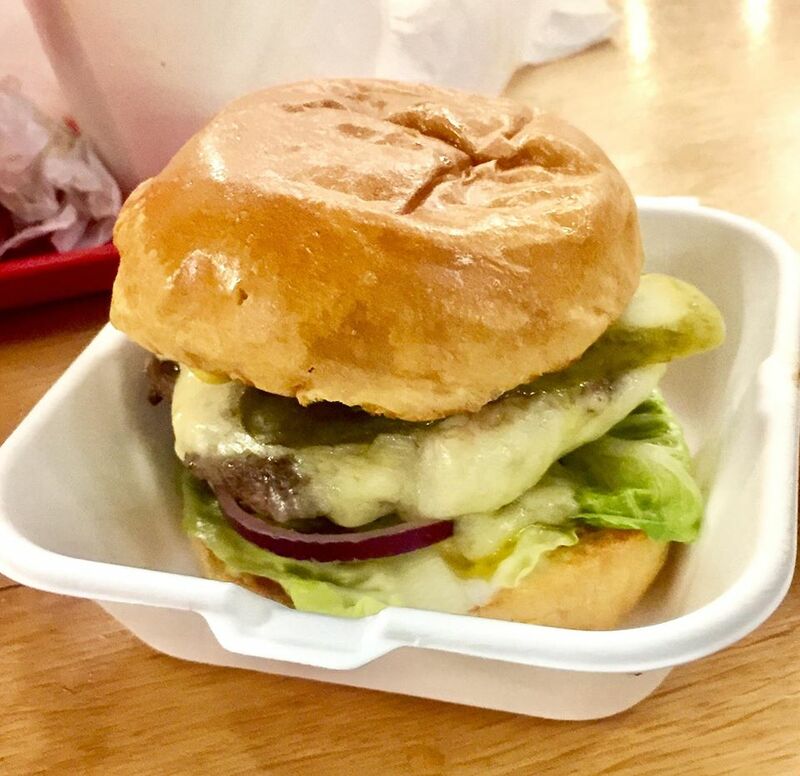 Have you been to Trinity Kitchen lately? 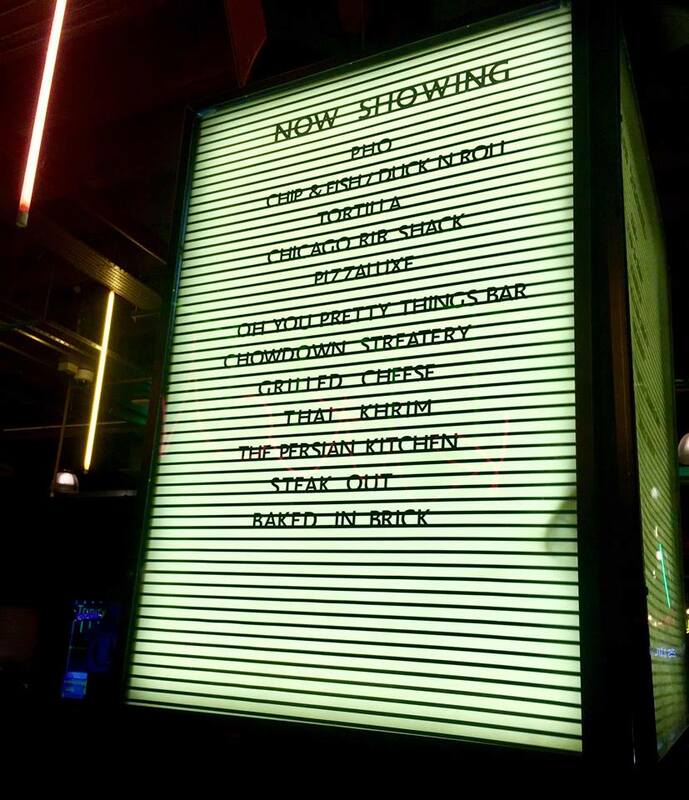 If so then let me know what you had to eat from there and your thoughts on Trinity Kitchen! Thank you to the amazing staff that invited me to the Trinity Kitchen Supper Club and the wonderful vendors that were amazing when I had a chat with them and for the others that I didn't get to see as they all put in so much hard work! This post is in collaboration with Trinity Kitchen. All views, opinions and ramblings are my own.